Calvary is fortunate to have over 50 years of combined church leadership experience. Let us introduce you to our Elders. Jeff grew up in central Indiana before graduating from Cedarville University in Ohio. He pastored for 6 years in Ohio after graduation. In June 1997, God brought him back to Indiana to pastor at Calvary. His primary focus at Calvary is preaching and teaching at our weekend services, shepherding the people of Calvary, leading the staff, and providing the overall vision for the church. Jeff has been married to his wife, Janna, since 1990. 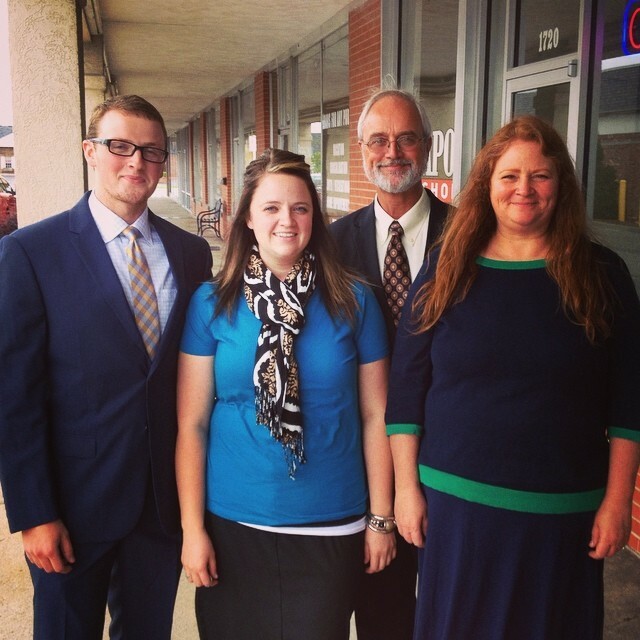 They have one son at home, Caleb; and two married daughters - Rachael, is married to David; and Sara is married to Zach. Jeff’s passions include expository preaching that enables people to see and respond to the greatness of God, teaching, and living the doctrines of grace. He enjoys reading widely (especially anything by Spurgeon) and also enjoys sports of all kinds. A book Jeff has read in the past year and would recommend is Knowing Christ, by Mark Jones (Banner of Truth). J.I. Packer writes in the introduction, "Mark Jones...loves the Bible and its Christ and the Puritans, as expositors of both; and out of this triune love, he has written a memorable unpacking of the truth about the Savior..."
Brian grew up in Avon, Indiana and was saved though the ministry of Pastor Don Tyler of Bethesda Baptist Church. He graduated from Cincinnati Bible College in 2001 and has since been a member of Calvary, working in youth ministries. His passion for the youth and their parents is that they be grounded in doctrine and knowledge of who they are in Christ Jesus and that they join the church in bringing glory to God’s name. Under his God-exalting example, our youth ministries have flourished and are a vibrant blessing to our church. Brian has been married to his wife, Diana, since 2007. They have five children, Tyson, Caden, Boden, Landon, and Brooklyn. Brian enjoys sports of all kinds (except ones that Diana is better at) and playing with his kids. "When God urges us to be holy, he is not throwing us back on our own resources to pull ourselves up by our boot strings and to do better. Rather he encourages us to swim into the sea of God's love, to immerse our lives in his grace, and to live on the basis of the resources he has provided for us in Christ. To change the metaphor, growing in holiness and sanctification requires that we put down deep roots into the soil of gospel." "Whatever opposition there may be from the world, the flesh, and the devil, God the Trinity has determined to pour his energy into making us like Jesus Christ." "God is restoring in our lives the image which we were created to reflect." Jon grew up and attended high school in Greencastle, Indiana. Graduated from Rose Hulman Institute of Technology in 1983. Jon has been married to his wife Tami, since 1983. They have two adult children Meagan and Jon. They have been members of Calvary Church since 2008. Jon enjoys shooting sports especially instructing in church outreach events and 4H. A study of the book of Acts over the past year has really brought to light the love, perseverance, obedience and determination of the Apostle Paul. The book of Acts continually records Paul’s love for all whom he had contact with. The aspirations for my ministry are to model the characteristics of Paul with the confidence of Christ’s love while keeping in mind my life verses above. Interested in how leadership roles of Calvary are defined?